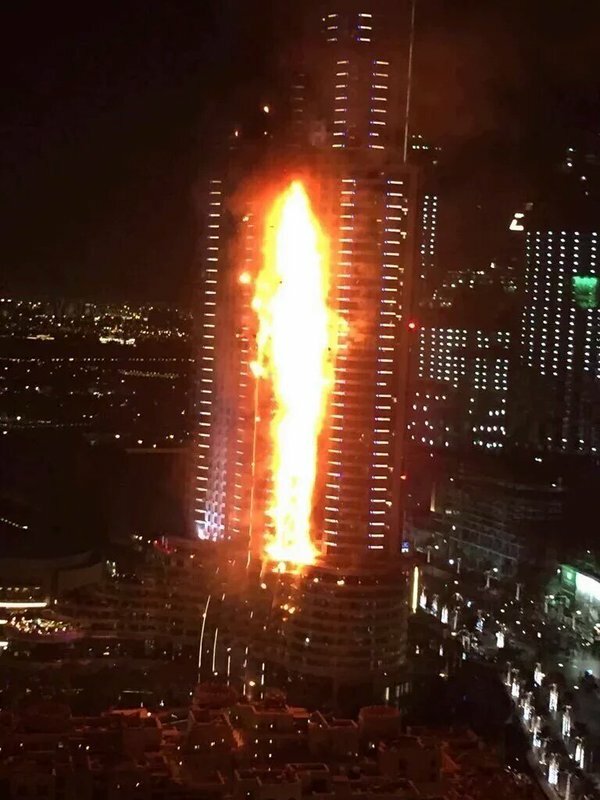 The 5-Star luxury Address Hotel in Dubai was engulfed in flames today. Thus far there are no reports of injuries, and no one has been killed in the inferno that reportedly broke out first on the 20th floor. The cause of the blaze is unclear. 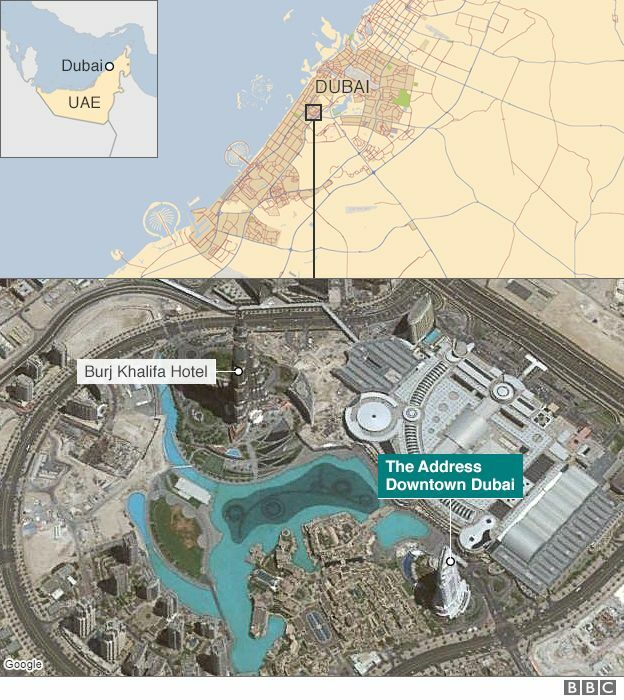 The hotel has 200 rooms and 600 apartments, and is one of Dubai’s luxury properties at 63 stories high. But debris was raining from the hotel tower as people fled down the streets. Reports of a second explosion caused more fire to break out in the hotel. The fire broke out about two hours prior to midnight, near where a New Year’s Eve celebration was to take place. Four squads of firefighters responded to the high-rise in an attempt to keep the blaze from spreading. After 2 p.m. ET, officials said the fire was 90 percent contained. But at that time, flames still laced the side of the building as smoke billowed around it. …Dubai planned to wow spectators with three separate firework displays. The show was to begin at the Burj Khalifa, which organizers said was fitted with 400,000 LED lights. They said 1.6 tons of fireworks would be used in the display. From there, the fireworks were to light up the sky around the sail-shaped Burj Al Arab and later down near the Dubai Marina. Fireworks also will be on display in Abu Dhabi, the capital of the country of seven emirates. Officials are unsure what caused the fire at this time, but investigators are on scene.